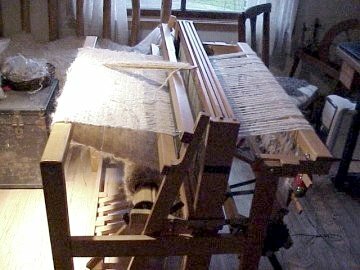 The 40 inch wide Jack (Floor) Loom was a long time favorite. It is built by LoomCraft of Denver, Colorado. Made of Eastern Maple and very sturdy, it was our first floor loom. 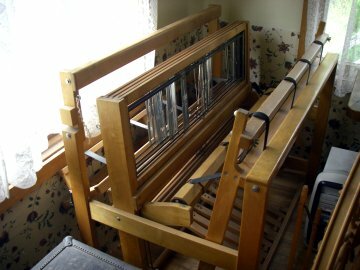 We have used this loom for many projects. It has endured years of use with little or no hastles. The only draw back has been the narrowness of the reed.